The Denver Broncos moved to 3-0 on the season as they trampled their AFC West counterparts, the Oakland Raiders, 37-21, at Sports Authority Field at Mile High. This Monday night game was never a "game,"
"The more precisely the position is determined, the less precisely the momentum is known in this instant, and vice versa." This notion provides the thesis for Werner Karl Heisenberg's uncertainty principle. In his first four games, Peyton Manning has thrown 16 touchdowns, no interceptions, and has averaged 368 yards per game. 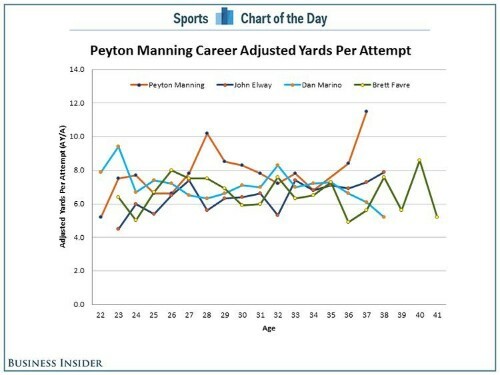 Not bad for a quarterback, who at 37-years-old, should have peaked 5-7 years ago.